When you launch your product or service in online market, there are some crucial things you need to have in mind before signing up for a web host. Notably, a good web hosting service is very important as it ensures maximum audience outreach without any interruption. Before finalizing the deal with your host, you must have a plan how you want to see your website grow. While making a perfect hosting plan for their business website, marketers quite often overlook a rather crucial aspect of the web hosting, and that is which hosting plan is right for their business. When it comes to choosing a web hosting plan that fits your needs, there are two primary options you can consider. They are namely shared hosting and Dedicated server hosting. When To Choose Shared Hosting? Shared hosting is an obvious choice if you have just started off online. Since, shared hosting is relatively cheaper, you can prefer it if you are on tight budget. In shared linux hosting plan, hosting resources such as disk space, bandwidth, processing power and memory are collectively used by multiple users at a time. These resources are placed on a single physical server from where they are further allocated to the multiple users. Thus, there may be a case that a particular user consumes more of the resources available. This leads to the website downtime for some websites hosted on the same server. When you are on a shared sever, you can't enjoy unlimited power or server space or bandwidth. This is why users using shared server quite often experience bad network uptime. Since resources are shared and sometimes limited, websites hosted on such servers may even slow down for the lack of enough bandwidth. So, if your website is relatively large in terms of pages and visitor traffic influx, I'll suggest you to opt for dedicated hosting. This is more reliable, scalable and secure than shared hosting. Why Dedicated Servers Are Best Alternative? Dedicated hosting brings tons of business advantages for the websites that receive a lot of traffic and engage in online financial transactions. 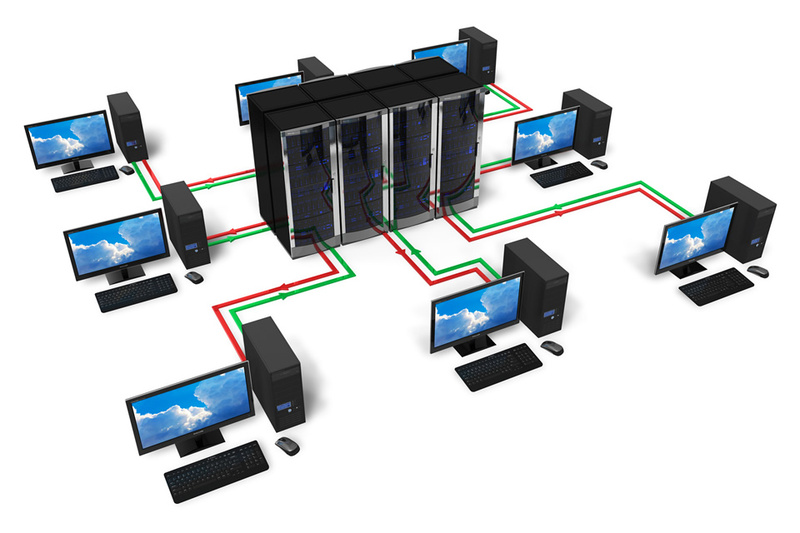 In such arrangement, a business is allocated a dedicated physical server. The business exclusively owns the entire bunch of resource allocated. This is why having a dedicated hosting server for your business ensures high network uptime since resources are not shared with other users. What makes dedicated server a must opt in is their ability to deliver highly scalable, robust and secure hosting environment. The bad part with the shared hosting is that your website could be under threat of blacklisting if any of your neighbor websites caught involved in spam activities. Alongside, when your co-users are found to have malicious sites, your site rankings may also be pushed down considerably. Why Should You Upgrade To Dedicated Servers? With dedicated server, you can avail additional resources like greater bandwidth or processing power instantly whenever you need these to keep the high web traffic in line. So, if you are looking for a hosting plan that can offer higher reliability, higher scalability, immense flexibility and enhanced security, you should go with dedicated servers. It's evident now that dedicated servers are less prone to hacking attacks as you are not bound to share resources with other users. If you run an online business that involves a considerable amount of financial transactions and demands a high degree or confidentiality, dedicated hosting would certainly be a great deal. With dedicated server plans, web hosting companies typically guarantee enhanced security measures which protects data from being hijacked or compromised.